We love this sweet design! Another of our recent finds, it's a super top quality designer print covered in cute hearts, perfect as a gift for your Valentine or for your sweetheart at any time of the year! The watercolour-style cerise and red hearts are lined up on a white background. 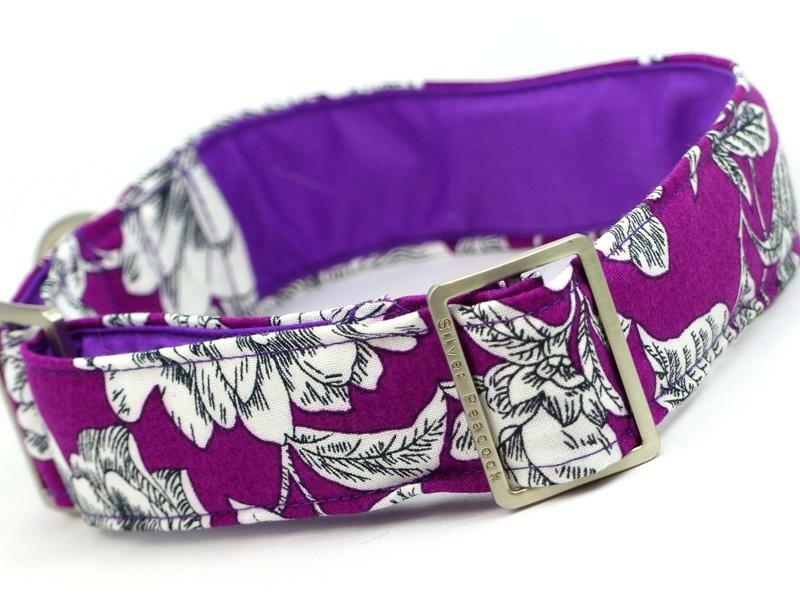 The collar is lined in complementary cerise pink fabric and is finished with robust silver coloured hardware.